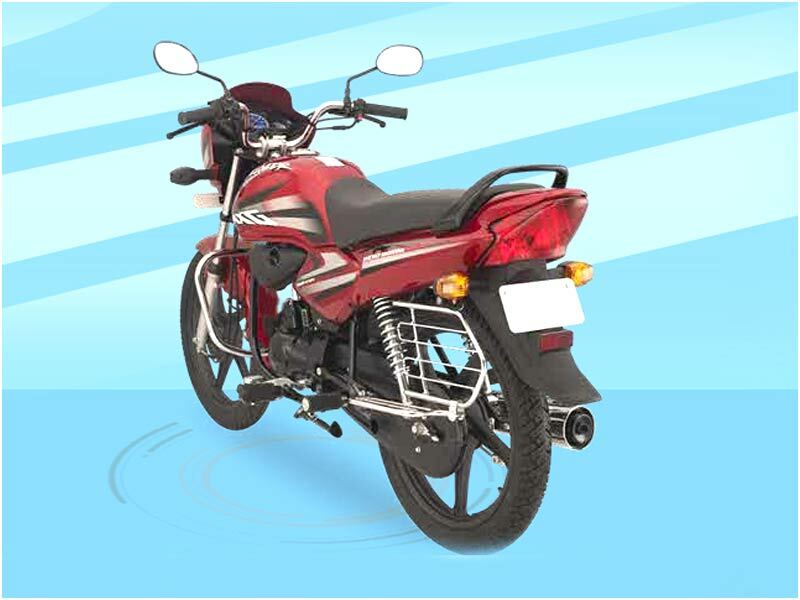 Hero Honda has added a new paragon to its best selling 100 C.C Splendor range. Splendor NXG comes with alloy wheels. Splendor NXG will further push Hero Honda in the 100cc segment to challenge the diehard competitors. The new features and the alloy wheels give a smart look to the bike with decent handling. Hero Honda has named the bike NXG implying it to be for the next generation. This alloy wheel version bears several resemblances to the old version of Splendor. Splendor is a bike designed to give fuel economy, reliability as well as low cost for maintenance. Hero Honda NXG has a new 97.2-cc engine. The power of Splendor NXG is 7.7 PS at 7500 rpm, which is an improvement over Splendor Plus. Maximum torque is about 7.6 Nm. The Splendor NXG has a smooth gearshift pattern. Apart from its new Silver-colored alloy wheels, the Hero Honda Splendor NXG sports a new headlamp, tank, side body panels, tail lamp, turn indicators and of course new stickers. Switches are similar to those of the 125 cc Super Splendor. The design of the new speedometer could have been bettered with conventional twin pod meters. The trendy side decals, rear and front cowl, new sleek instrument panel with a trip meter and the fuel tank that has a knee grip mold and new improved visor, lend the bike more stylish looks. The ride quality of the Hero Honda Splendor NXG is up to the mark. The riding position is quite comfortable. The seats are well padded and comfortable. The NXG sports conventional telescopic front suspension and a pair of hydraulic shock absorbers at the rear. However, the bike does not have box-section swingarm at the rear. The NXG is great for city ride attributed by its light and nimble handling quality. Ride quality strikes a fine balance in all the road conditions. But this bike lacks high speed handling capability. The bike gives fuel efficiency of 55.5 kmpl in the city traffic and around 60 kmpl on expressways. Hero Honda Splendor NXG is the another mutant of one of the best selling bikes in Indian motor market, Hero Honda Splendor. 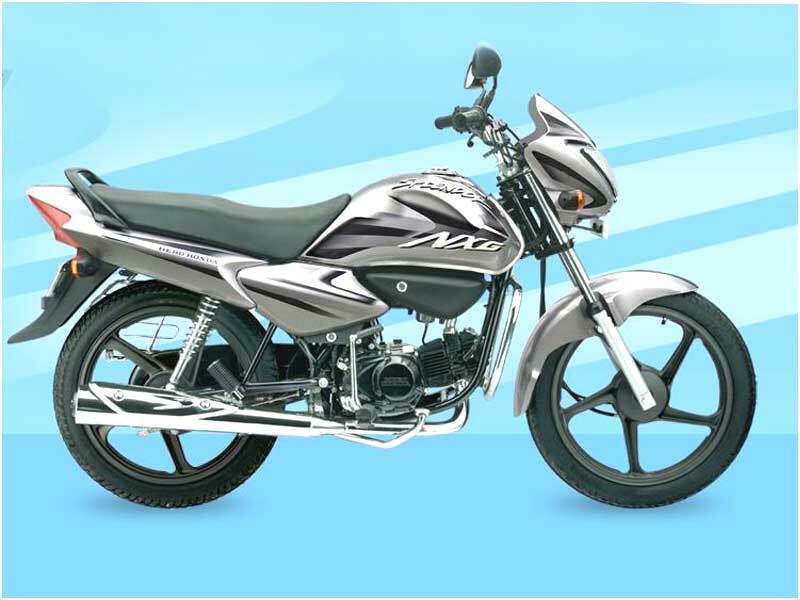 The new and refined model gives excellent mileage of 70-75 kmpl. Splendor NXG is available in 6 attractive colours such as Black with Red Stripes, Black with Purple Stripes, Candy Blazing Red, Vibrant Blue, Black with Silver Stripes and Force Silver Mettalic.